The birds are chirping and the Tundra Swans are stopping by in our area that can only mean that it is almost time to change our clocks ahead. Before you touch your clock and start your spring cleaning I would like to remind you to change the batteries in your smoke alarms and do a quick test to make sure they are functioning properly. 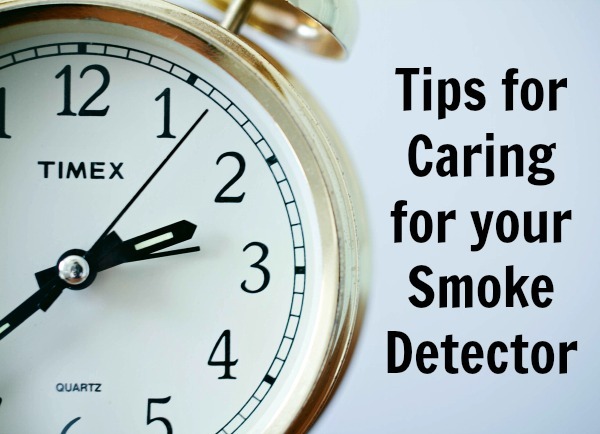 Checking our smoke alarms and their batteries is number one on the list every spring and fall because keeping my family safe is a task I take very seriously. I am not the only one either. This year Duracell and the Canadian Association of Fire Chiefs (CAFC) are encouraging Canadians to give one task special preference – Checking smoke alarms and changing their batteries. - Spring Clean Routine: Smoke alarms are very sensitive, so even dust or insects can trigger it to go off. Be sure to clean the alarm with a soft brush or vacuum out the air regularly. - Sound the Right Alarm: There are two types of smoke alarms, ionization and photoelectric. An ionization smoke alarm is generally more responsive to flaming fires, and a photoelectric smoke alarm is generally more responsive to smoldering fires. Make sure you have the right type of alarm in the proper areas of the house. - Gut check: Regular test fire alarms to ensure the battery and the alarm sounder are operating. This will also familiarize everyone in the home with the sound that is emitted when the unit detects smoke. Refer to manufacturer’s guide for testing procedure. - Replace the batteries: It’s important to replace your smoke alarm batteries yearly. Try replacing your batteries every spring when you change your clocks. For additional peace of mind, power your fire alarms with Duracell Quantum. With its revolutionary Hi-Density Core™ and proprietary PowerCheck™ power indicator, Duracell Quantum has been engineered to deliver. To help you with the task of changing all the batteries in your smoke detectors I am hosting a giveaway for $40 worth of Duracell Batteries.